11 departments and one college were asked to prepare a first draft of the revised curriculum by 29th March; each department was to come up with a minimum of four drafts before finalising. The University of Delhi (DU) has yet again asked the heads of 11 departments and Indraprastha College for Women (IPCW) to start revising the curriculum of their undergraduate courses and introduce the revised syllabus in the 2019-20 academic session. 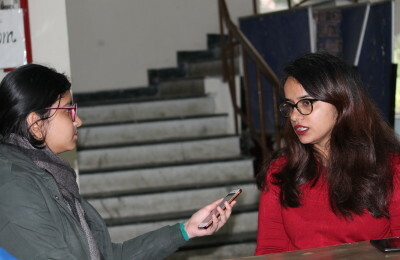 The varsity’s undergraduate curriculum revision committee (2019) wrote to the heads of 11 departments, which comprised of computer science, history, botany, music, zoology, Sanskrit, microbiology and environmental studies, and the administration of Indraprastha College for Women, with a revision schedule, asking them to “abide by it”. This pronouncement received criticism from the faculty members who were displeased by the bypassing of the democratic steps that are to be followed in reforming the syllabi. They called it a “serious statutory violation”. The members of the Executive Council (EC) and Academic Council (AC) wrote to Yogesh Tyagi, the Vice-Chancellor of the varsity, against the “manner” of this revision. The EC and AC members have requested Tyagi to withdraw the communication. “The schedule was prepared without any consultation with the statutory bodies. So, we request you to revise the UG syllabi in a statutory and democratic manner and withdraw all the communications concerned,” states the letter. The schedule orders the departments to constitute their respective committees and prepare the first draft of the new syllabus by 29th March. A minimum of four drafts have to be sent before deciding on the final one, which is to be submitted to the respective Heads of Departments (HoD). The Undergraduate Curriculum Revision Committee also asked the HoDs to make public the draft, and to invite suggestions from all the stakeholders. The flipside to the current air of resistance from the faculty, and a reform in the current syllabus is not just appreciated, but needed. “Being a premier university, the revised curriculum is not only going to help our prospective students but would also set a trend for many other universities,” the committee’s statement said. However, it is the untimely and unconstitutional method of doing things that the student and the faculty communities collectively have a problem with. Even in 2016, the History elective paper was entirely changed two months into the semester, marring the efforts of the students and teachers alike, and was met with opposition because a substantial investment went to waste. To avoid these confusions, a democratic process in a central university like DU must be adhered to. Previous PostIn Defense of Doing Nothing Next PostWill it Take a Stampede for Unions to Take Security Seriously? Assessment System in Delhi University: Does it let the Vacations go as Planned?